I had the opportunity to tour through central and southwest Ireland on a recent trip. The Republic of Ireland occupies over 80% of the island, with Northern Ireland being part of the United Kingdom. The earliest humans are thought to have lived on the island as early as 12,500 years ago! 1: This is the owner of Leap Castle in Offaly, musician Seán Ryan. 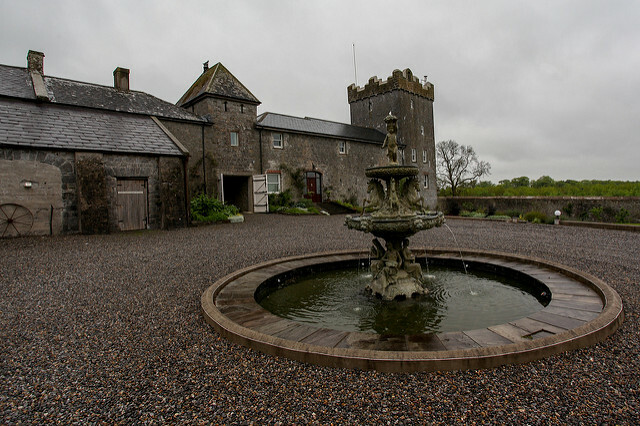 He has owned the famed haunted castle since 1991 and has continued its restoration. You can read more on his website, make a donation to its upkeep, and arrange tours at http://leapcastle.net/. 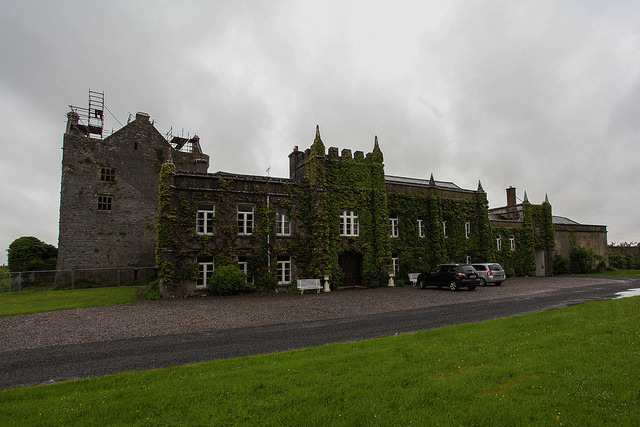 2: The front of Leap Castle. You can see the overgrown ruins of the Priest’s House to the left. It definitely gives the building more character. 3: This is Springfield Castle. It is a tower house in Limerick. I was fortunate enough to stay here even though the weather was quite overcast. You can stay here too, and it will sleep up to 25 people, for more info go to http://www.springfieldcastle.com/. 4: A fountain on the grounds of Springfield Castle. 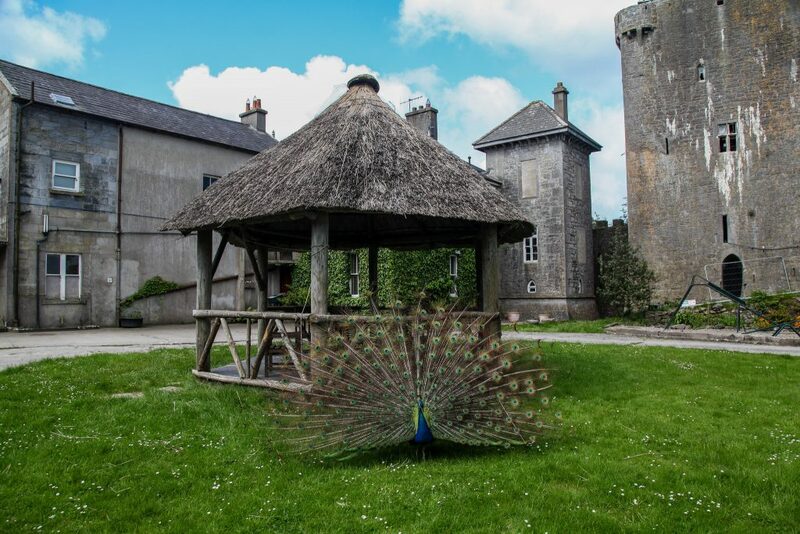 5: The resident peacock and gazebo on the grounds at Springfield Castle. 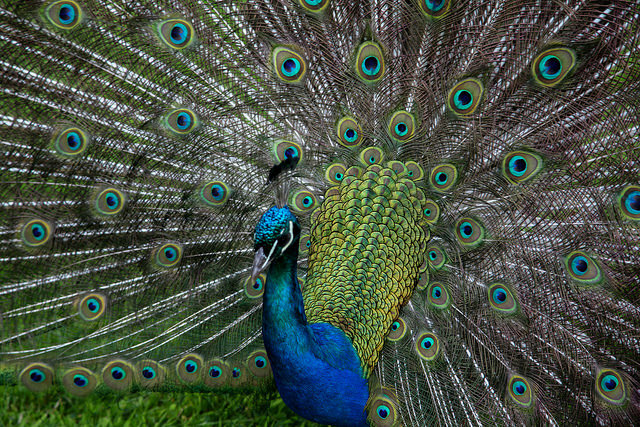 6: A closeup Mr. Peacock. 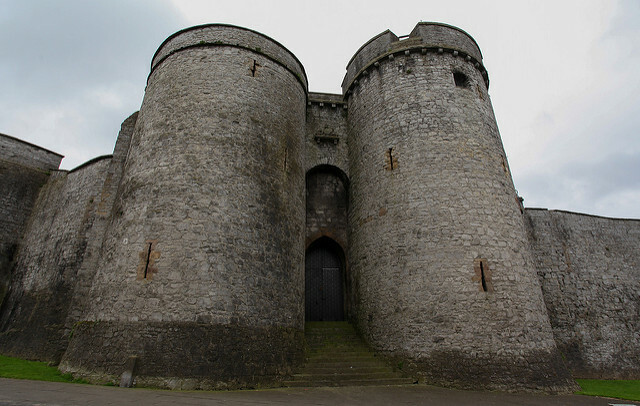 7: King John’s Castle in Limerick is a 12th century castle built on the orders of none-other than King John of England. I thought it was particularly interesting how these two large towers straddle the small door. Defenders could fire arrows from the slits, and any number of nasty things could be rained down on their heads if they tried to breach the door. 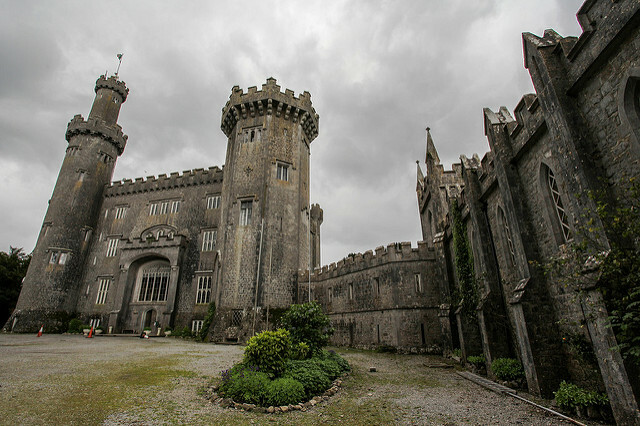 8: Charleville Castle is a gothic castle near Tullamore completed in 1814. It was commissioned by Charles William Bury, the 1st Earl of Charleville. 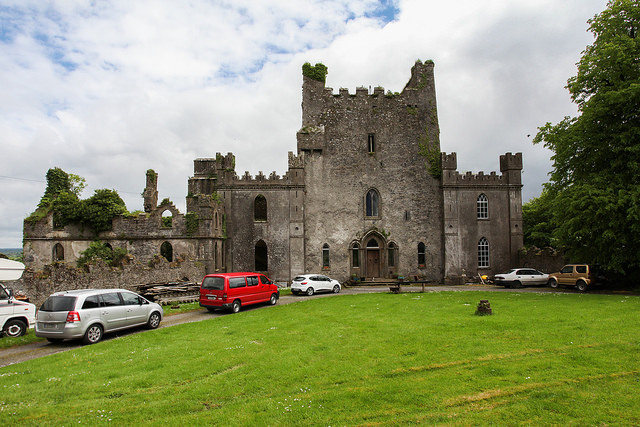 Like Leap Castle, it is considered one of the most haunted castles in Ireland. 9: Located on the southwest coast in County Clare are the Cliffs of Moher. These sea cliffs are over 200 meters tall in some places. 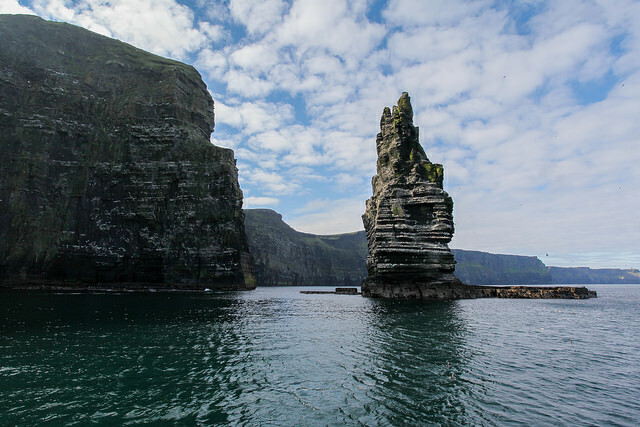 The column of rock shown is known as a sea stack. At some point in the past it connected to the cliffs as a solid mass. It probably became an arch that collapsed. Now it is home to thousands of birds. It will continue to erode and will eventually become a short stump of rock. 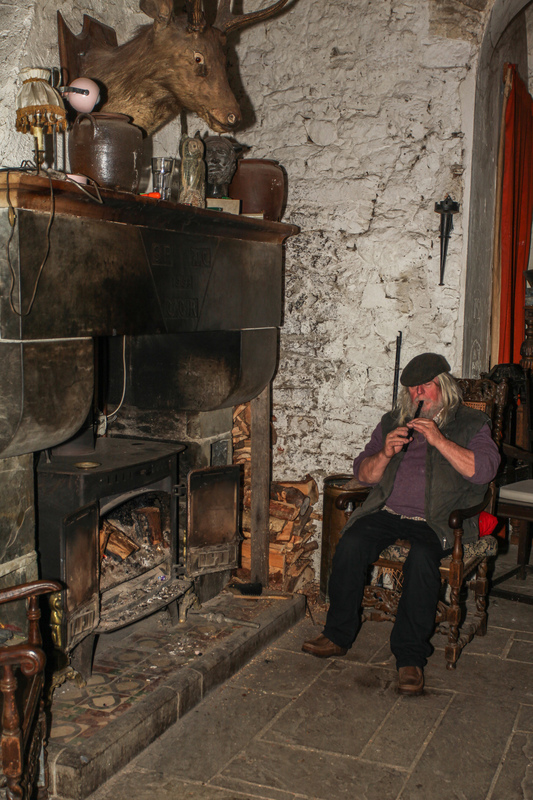 10: Located near the Cliffs of Moher, lie the Aran Islands. 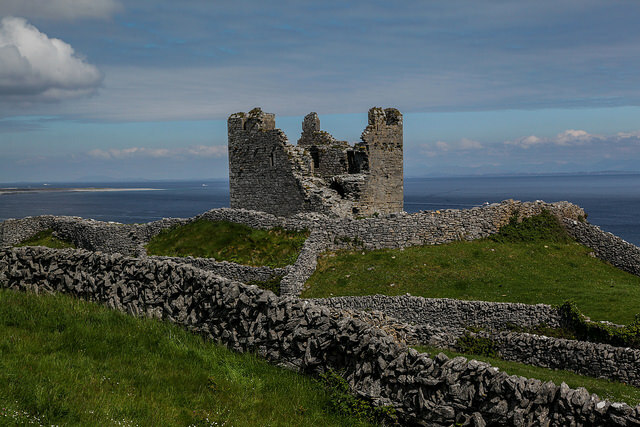 These ruins are on Inisheer island, and were once a 14th century tower house owned by the O’Brien clan, referred to as O’Brien’s Castle. Old stone walls weave in and out of the landscape, which were used to control grazing land.